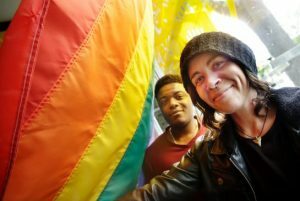 We are a group of queer, mad people of color who experience the ‘psy complex’ in different ways – sometimes as survivors, patients, ex-patients, or inmates of the racist, sexist, and oppressive psychiatric system, and sometimes through racist, sexist, and oppressive interventions by doctors, teachers, social workers, community members, or police. We write this manifesto because we know that racism, sexism and oppression circulating in the system are also circulating in the mad movement. Over the years we, and other mad people of color, have been in mad movement spaces – sometimes as organizers, and sometimes as participants. We have been present, vocal, and visible – bringing forward our concerns about racism, about our precarious legal status, about the experiences of working class immigrants, and about the violent and subtle ways that people of color are psychiatrized. Yet each time we speak or write these truths, our perspectives are dismissed or deflected by people who want the mad movement to be white and middle-class. We have been accused of attacking white people when we express our views. We have been called ‘sanist’ for talking about racism in the mad movement. How can it be that we are sanist when we criticize white people for being racist, but white people are not sanist when they call us angry and irrational? Tell us, is sanism something that only happens to white people? We don’t believe in an oppression that only white people experience. Audre Lorde taught us that when white people don’t confront their own racism, they blame people of color for ‘being angry’. We know why we are angry. Racism, sexism, and class oppression make us angry. We know why people attack us for being angry. Guilt, entitlement, and a refusal to work with us fuel your attacks. White mad activists tell us that we are responsible for our own inclusion. We don’t want to be ‘included’ in a white movement: we want you to take responsibility for keeping your movement white. The mad movement presents a mad identity based on white people’s experiences and white people’s theories. Tell us, is madness something that only white people experience? We are the experts of our own stories and experiences. We talk to each other. We read African theorists and theorists of color. We listen to each other’s experiences of being trans-national. We talk about surviving in more than one cultural context. We cannot separate our experiences of racialization, madness, and other oppressions. White people’s experiences of psychiatry are not ‘like colonialism’. Colonialism is like colonialism. Race and disability have suddenly become an academic fad for white people. • Stop asking us to educate you about racism, and then ignoring or contradicting us when we do. • Stop basing your ideas about a collective mad identity on the dominant culture. • Stop presenting the white mad movement as a culture to be celebrated as part of Canada’s multiculturalism. • Stop saying things like “even people in prisons have it better than we do”. Some of us experience both. • Make anti-racism and anti-oppression training a priority, especially for consumer/survivor organizations. If you want us to educate you, pay us. • Acknowledge your racism and take action to end it. • Ask yourself whether your goal as a mad activist is to regain the white middle-class privilege you lost when you were psychiatrized. • Ask sincere questions, and then listen to the answers. If you are wondering if psychiatry is like colonization, ask someone who has experienced both! If you want to know if the hospital is worse than prison, ask someone who has experienced both! • Stop pretending you’ve never heard these criticisms before. Stop pretending our work doesn’t matter. Stop pretending you’ve never heard of us. Stop pretending we don’t exist. • Stop appropriating anti-racist struggles1. 1. Most recently, this happened in New York City, when mad activists used Martin Luther King Day, and his writing on creative maladjustment, to protest mental health profiling. They did this without connecting his critique of psychology to ongoing struggles against anti-black racism. This is a sample article from Asylum 20.4. To access the latest issue in full, SUBSCRIBE HERE.